This the definitive and true life story of NANCY KWAN who as a young Eurasian girl from Hong Kong captured the hearts and minds of cinemagoers around the world in her stunning motion picture debut role in THE WORLD OF SUZIE WONG (1960). And, in the unforgettable follow up role as “Linda Lo” in the all Asian, Rodgers & Hammerstein Hollywood hit musical. 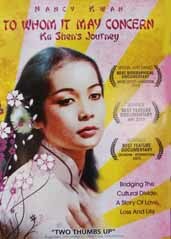 FLOWER DRUM SONG (1961), her career would reach previously unattainable heights. Now available the 50th anniversary edition of Nancy Kwan's unforgettable drama! 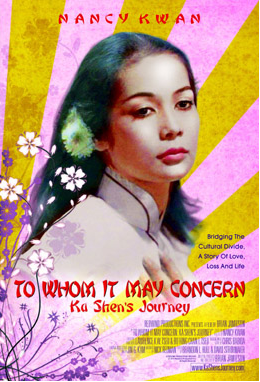 Includes "To Whom It May Concern: Ka Shen's Journey" on Blu-Ray. "...features a clean transfer of the film with plenty of rare stills and film clips, plus some audition reels of Kwan prior to being cast in Suzie Wong". 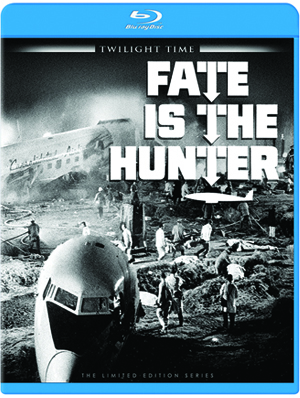 Brian Jamieson’s documentary on actress Nancy Kwan, is rather perfect for those who enjoyed her sensitive performance in "Fate is the Hunter". 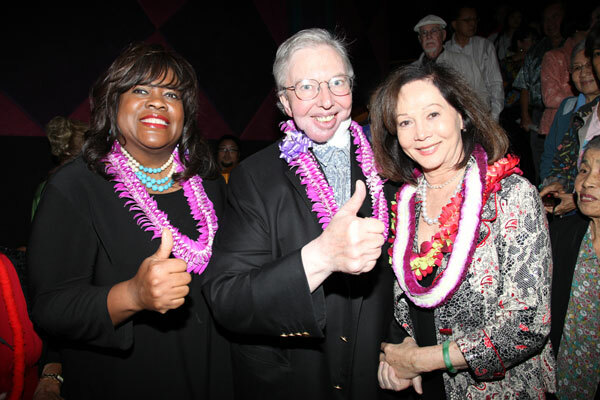 Roger Ebert and his wife Chaz give the thumbs up to Nancy Kwan and her Award winning feature documentary in Hawaii. HAVE YOU CONSIDERED PRESERVING YOUR OWN LIFE STORY?